accuracy, repeatability and reliability of the AM 5200-A. 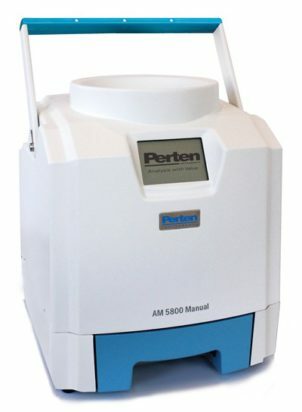 same calibrations as the officially approved AM 5200-A. aligned with the AM 5200-A. Easy to use: No sample weighing or volume measurement required. are presented on the display. Smart interface: Touch screen with intuitive user interface. The touchscreen uses resistance technology and will even respond to gloved hands. The Aquamatic determines moisture content and specific weight in grain and oilseed. Calibrations included: All common grains and oilseeds.